Heart is the most loved shape in jewellery. 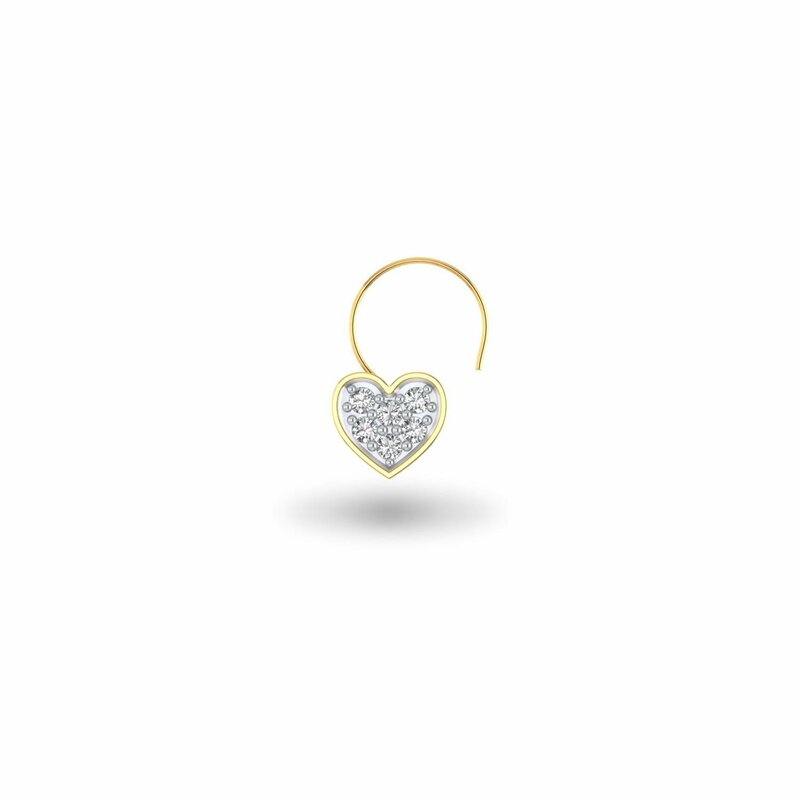 Whether you talk of earrings, pendants or even, rings, you would definitely have a heart-shaped version of each of them. So, when it comes to nose pin, this one will fulfil your desire to own one in heart shape. Own it, match it and steal the show!